This nationally registered “certified historic structure” is located on the horse drawn carriage route. 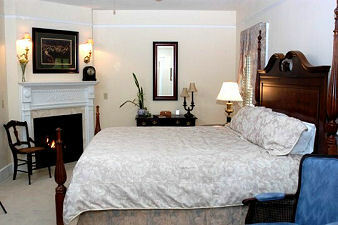 Fully restored, Centennial House is a premier 8 room inn offering private luxury baths, most with whirlpools, 3 rooms with fireplaces, and in-room Cable TV/VCR, phone, and climate control. 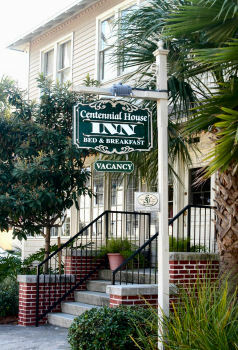 Centennial House is elegantly detailed with lovely appointments. We take pride in our personal service, attentiveness, and genuine concern for our guests. Enjoy a formal full breakfast each morning, served with the hospitality of a bygone era. Our inn is perfectly situated for a leisurely stroll to historic sites, shopping, restaurants, and the Intracoastal waterfront.